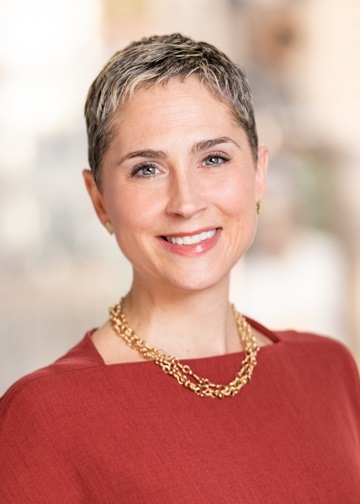 As Chief Operating Officer, Kathryn O’Neal-Dunham serves as an integral member of the senior management team and helps craft, direct and implement the overall strategic work of Philanthropy New York. She supervises PNY’s Finance and Administration staff and develops and implements the organization’s administrative and financial policies; guides the work of the organization’s Membership and Learning Services departments; and takes responsibility for the smooth running of the organization’s day-to-day activities. Prior to arriving at Philanthropy New York, Kathryn was the Director of the Americas for the Macquarie Group Foundation, where she built innovative employee engagement programs involving hundreds of volunteers throughout the United States and long-term partnerships with local nonprofits across the U.S. She also built a robust pro-bono program to improve nonprofit capacity in human resources, technology, fundraising and project management. In addition, she worked closely with the Taproot Foundation to pilot a unique financial diagnostic pro-bono program that widely leveraged the skills of Macquarie employees. Internally, Kathryn worked with Foundation staff and board to re-define the Foundation’s objectives and develop a three-year strategic plan. Prior to Macquarie, Kathryn worked at the United Way of New York City, where she first served as the Director of the Targeted Impact Fund, and later as the Vice President of Community Investment. Before United Way, she spent six years managing the fundraising and external affairs of Inwood House, an organization that provides sexuality education and maternal health care for New York City teens. Kathryn has a B.A. in Clinical Psychology from Tufts University and received her Master’s degree in Public Administration and Health Policy from the Robert F. Wagner School of Public Affairs at NYU. She volunteers with the Carter Burden Center for the Aging, the Central Park Conservancy, The Financial Clinic and the Growth Philanthropy Network, and is a trustee of Inwood House. She frequently speaks to graduate and undergraduate students, addressing issues such as nonprofit capacity-building, fundraising and the field of philanthropy.